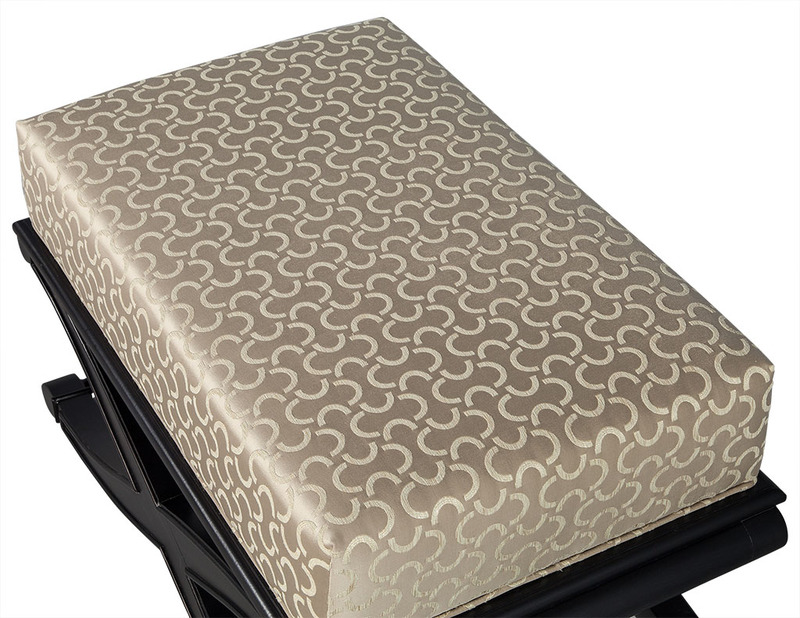 These Modern style ottomans are finely detailed. 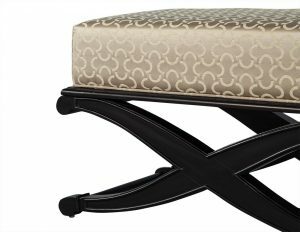 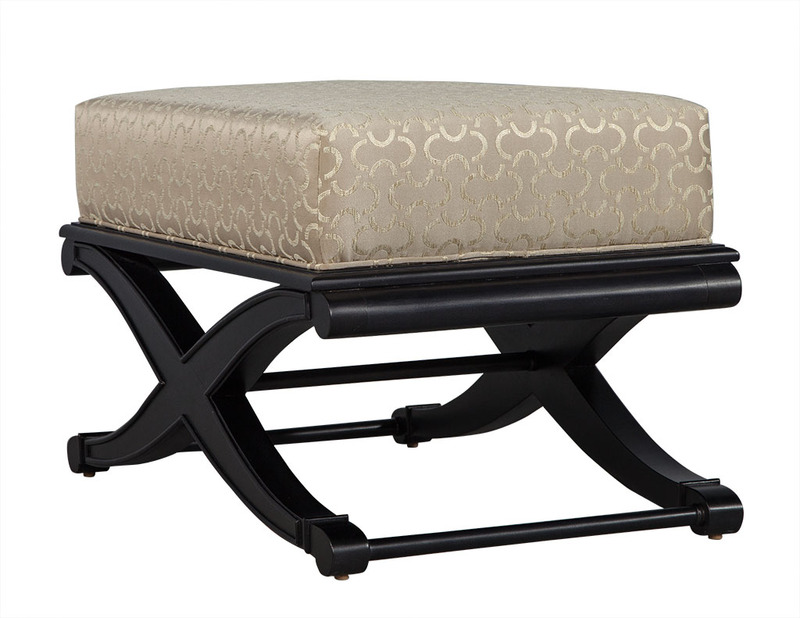 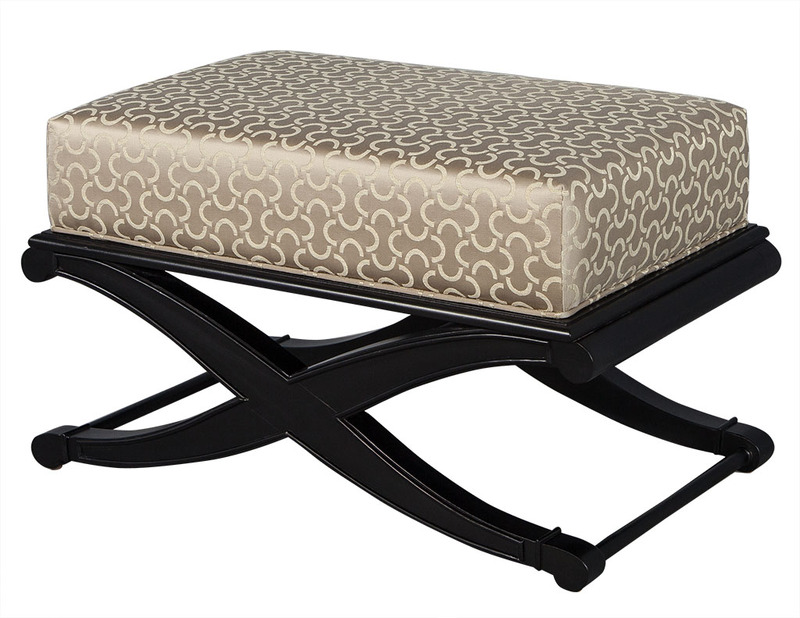 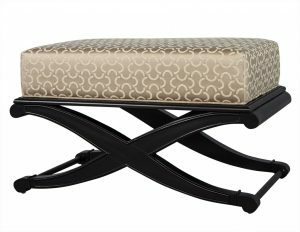 The base is a deep, satin black and the cushion top is plush and upholstered in a gorgeous fabric. 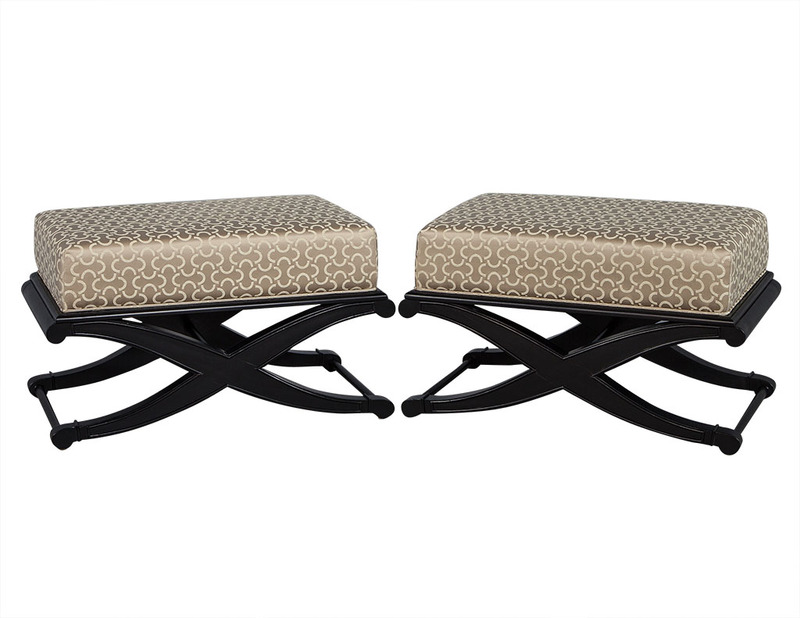 This set is in excellent condition and perfect for a chic home.